From a thin slice of fertile land that extends into the lakes of Lithuania’s southeast, wooden jetties push into the still water dangling narrow fishing boats and colourful pedalos. Wide paths splashed with autumn colours throw bright yellows and umbers against old fortress walls. The beady eyes of mallard ducks are often the only others taking in the view. Just forty minutes and a €1.77 bus trip out of Lithuania’s capital, Trakai is a contradiction of modern tourism and complex history. In the 14th century it was home to Lithuania’s Great Duke Vytautas, one of the country’s most vehement defenders, whom many city streets and little boys are named after. In the six hundred years since then it has endured a tumultuous time of war, occupation, rapid advance of its very mixed inhabitants and an often-harsh climate. However today the town offers a relaxing lakeside resort and a near silent stroll through this patchwork of different eras. 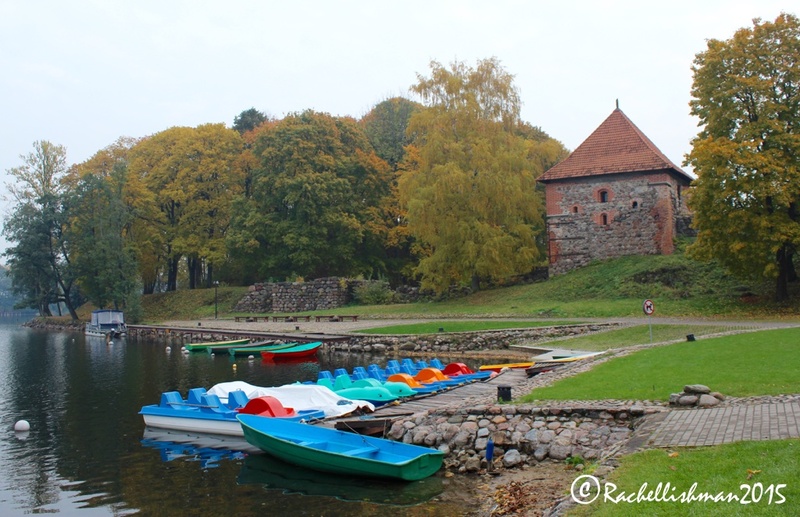 Founded after the collapse of the Soviet Union in 1991, Trakai Historical National Park is the only one of its kind in Lithuania. Its creation has provided essential protection and restoration of important buildings and of two ancient castles in Trakai, the larger is the only one in Eastern Europe to be built on an island. A wooden bridge leads to this red brick castle in an area that seems popular with the local fisherman. It was almost completely destroyed during the soviet era as it was viewed as a sign of Lithuania’s strength and independence, but has since been restored to its former glory. An unusual design sees the castle split into two sections, with arches connecting the base stone structure. A walk around the castle’s island also gives wonderful views of the surrounding national parkland, including the impressive Uzutrakis Palace Estate built in the 19th century for Duchess Jadwiga. Back in the main town, traditional wooden houses and several churches have somehow managed to survive relatively unscathed. They offer an insight into the many nationalities that have contributed to the town. Today’s population of seven thousand is mostly Lithuanian, but historically Tatars, Polish, Lithuanians, Russians, Jews and the Karaim people have all helped to give Trakai a unique character, through their architectural styles, beliefs and speciality cuisine. In 2015, it’s thought that only 300 Karaim remain worldwide, making them one of earth’s smallest ethnic minorities. Originally of Turkic origin, Duke Vytautas brought them to Lithuania from Crimea in the late 14th century, shortly after the town’s name was first mentioned in chronicles. Privileged visitors can see one of only three existing Kenesa: the Karaite place of worship, which closely resembles a wooden-style synagogue. In spite of their small population and near extinction from disease and wartime hardship during the 19th and 20th centuries, the Karaite people created a pastry dish that’s unique to the area. Kabinai is much like a Cornish pasty, although this doesn’t do justice to its historical significance! Traditionally filled with pork, lamb or beef, modern variations mean that veggies won’t miss out. A day in this town gradually unveils a rich cultural heritage that bubbles behind the quiet surface of a lakeside idyll. 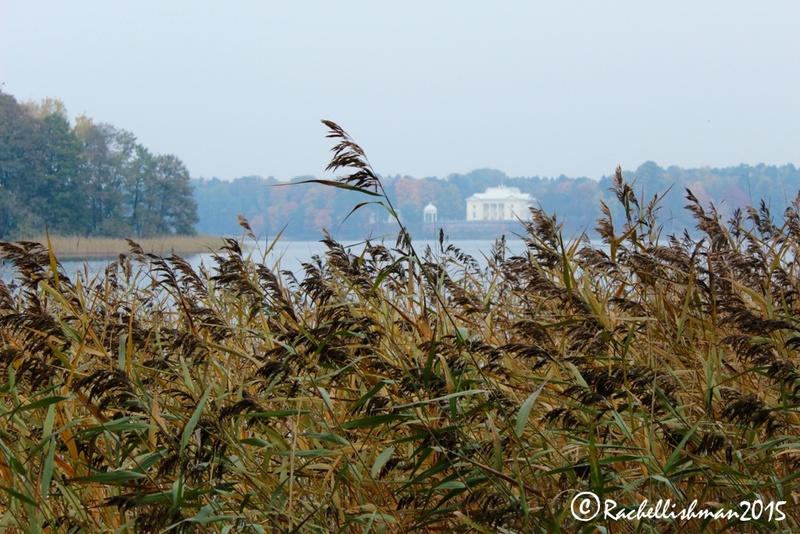 However it’s this natural beauty and calmness that pervade a day spent hiking around Trakai. An autumn trip is fantastic for colour and retrospective strolls, but I found myself browsing supermarket isles dreaming of summer picnics, leafy bike rides and lunchtime beers, all polished off with a refreshing dip in the lake. I did spot one local who clearly didn’t let the seasons dictate and stood proudly, half naked in the chilly October afternoon. The brave, warrior spirit of Vytautas is clearly still alive and kicking in this ancient town. 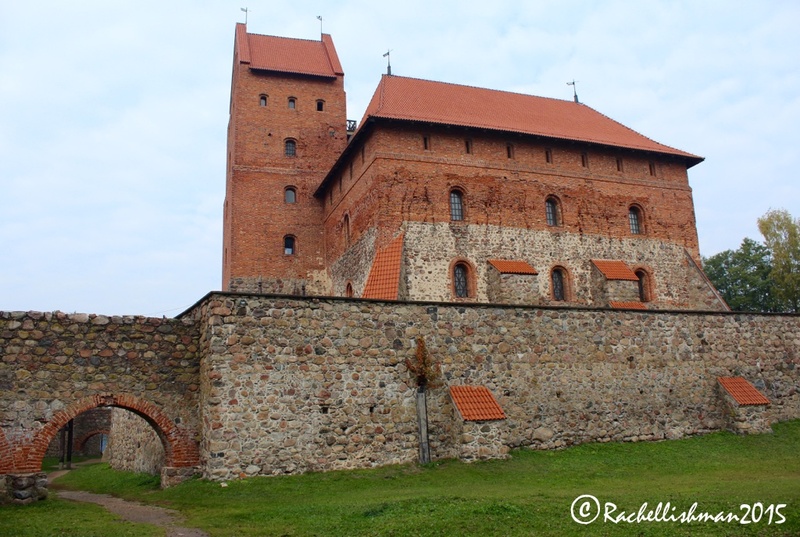 I do like the red brick of Trakai Castle – where you able to go inside? Unfortunately I was there on a Monday so the castle itself was shut – gives me an excuse to go back one day! Never been there, although I live in Finland.